Today STRiVE received a check from our community partners Home Loan State Bank. 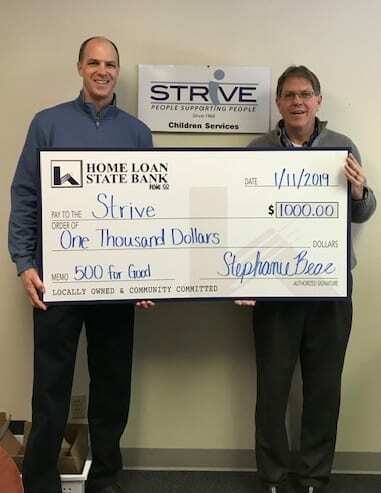 Home Loan State Bank supports STRiVE with a donation. Today we received a large check for one of our elite community partners Home Loan State Bank. which Jamie Hamilton, his staff and organization match. This was a terrific DAY!! !